Share of Reliance CommunicationsBSE 2.36 % advanced over 4 per cent in Thursday’s trade on reports that it has started the process to monetise its real estate assets in Delhi and Mumbai as part of its efforts to pare its Rs 45,000-crore debt. 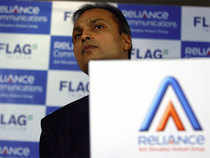 Following the development, shares of Reliance Communications surged 4.56 per cent to Rs 20.65 on BSE. The scrip opened at Rs 19.80 and touched an intraday high and low of Rs 20.75 and Rs 19.80, respectively, in trade so far. The company is targeting an overall 80 per cent reduction in its debt by December, two people aware of the developments told ET. Reliance Communications is looking to raise nearly Rs 11,000 crore by monetising prime properties in Mumbai and Delhi. This, combined with the Rs 25,000 crore that it expects to garner from the wireless business merger with Aircel and the tower business stake sale to Canada’s Brookfield, will be used to cut its debt down to roughly Rs 9,000 crore by the year end, one of the persons cited said. For the financial year ended March 31, 2017, the company reported net loss of Rs 1,283 crores. Meanwhile, BSE Sensex was trading at 31,496 up 0.68 per cent at around 11.15 am. (IST) after scaling to an all-time high at 31,450 in today’s trade.